January 2017 marked the beginning of a new and exciting chapter of my life; my journey as a travel writer. By now you know that my first trip on this journey was to the beautiful Dominican Republic, and while it was a memorable three weeks turned four of my life; it was a great reminder that travelling is not all gumdrops and unicorns as many would like to imagine. I certainly met my fair share of misfortune, and in retrospect, I’m quite satisfied it happened on this trip. Some experiences have brought me laughter upon reflection, but others were downright terrifying. Here’s part one of the untold tales from the Dominican Republic. My time in the cradle of the Caribbean was haunted by the curse of the Dominican Republic- a concept I came up with after reading the accounts of others who traveled there and had terrible encounters. From the moment I set foot at the Tocumen International Airport in Panama, while in transit, the writings were on the wall that this trip was not going to be easy. Stubbing my toe and spraining my ankle while trying to maneuver the escalator ended with me dropping my phone, partially cracking the screen. Despite all this, I still waited for my flight to the Dominican Republic with a smile on my face. 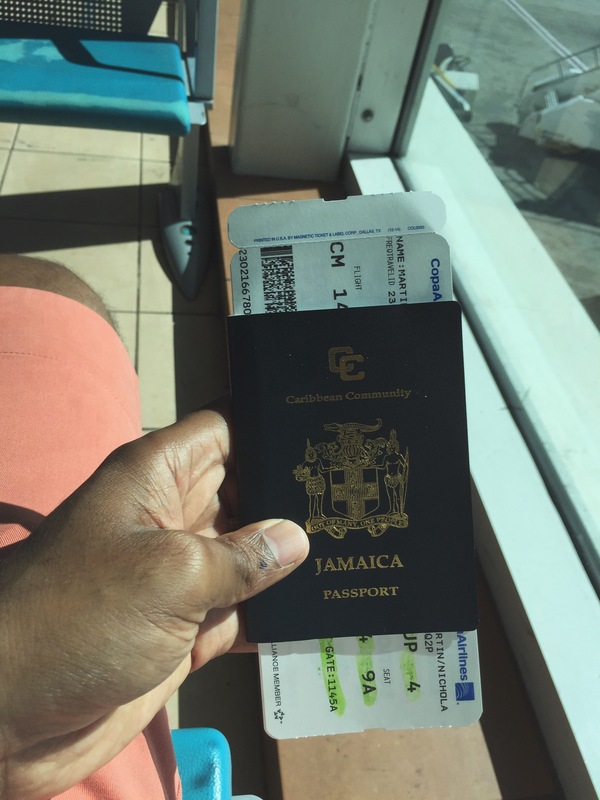 For a brief moment after landing and going through immigration at the airport in the Dominican Republic, I felt I had shed all the bad luck on the flight from Panama, as going through immigration was so smooth and problem free. Not even a single question. The next step was to find my pre-arranged Airport pick up driver; a bit nervous exiting customs entering the arrivals section. But after a few twists and turns I noticed my driver without much hassle, and after paying his parking fee, we were on our way to Zona Colonial, where my hostel was. Checked in and ready for the next day to go sight-seeing in the first city of the new world. Problem number one; there was a hold on my account resulting from me forgetting to tell my bank that I would be using my card in a foreign country, so I’m pretty penniless. Luckily I was able to get it sorted and I was able to use my card after a few phone calls. Without hesitation I withdrew every dollar on my card, to avoid ATM charges. Sounds like a wise idea, but just minutes after, maybe around 45 minutes, I checked my pockets for the money and it was all gone. Every cent. Of course I wasn’t pick pocketed, I’m still 100% certain I wasn’t. It just disappeared somehow, and from there everything seemingly took a downward spiral. Thinking on my feet was all I could do. I instantly communicated what happened to my mother, who had purchased my ticket, so it was something I had to take a deep breath and do, preparing for anything else. (You don’t want to hear the end of her response). She promised she’d send me some money through western union, which was relief, but back at the hostel, my bill was going up. I had to turn over my passport to the owner as some collateral for his money. That in itself was a bit off-putting and it’s never something I’d want anyone to deal with, but I had to live through it. What should have been 4 nights in Santo Domingo ended up being 11 days, ‘stuck’ in the hostel. So half of my trip was pretty much spent in Zona Colonial. Good news, mom finally delivered on her western union promise, and I was able to settle my bill and check out, with additional funding from a few amazing friends (Tajmoye, Kadeen, Jheanelle, Akeel and Olivia- thank you guys). Relief! Now heading to Las Terrenas, with a small amount of cash on me, no idea how I’m going to pay for my stay at the guesthouse, plus food and sight-seeing, but you know what they say about faith. Arrived in Las Terrenas, with insufficient funds to pay the Motoconcho to take me to the guesthouse but he was considerate enough to take what I had. I didn’t wait to explain my situation to the owner of the guesthouse the moment I got there, but an ounce of luck was on my side again; the guesthouse had a ‘pay your bill at checkout’ policy. Within just two days that bit of luck turned its back on me, and I was joined by the diarrhea bug, well it was pretty awful, and that was to be my company for a few more days. It worsened and got worse, and the next option was the doctor, which I would’nt have to worry about, since my insurance covered that. It didn’t reach that point, it went the very morning I said I would have visited to the doctor, so I was in good spirits again. My trip is just starting to begin at the end I thought to myself, but the reality of how I was going to clear my bill had me up a couple of nights. On the very day I was to check out to head back to Santo Domingo for my early morning flight, a relative bailed me out, sending me some funds through western union, just what I needed to clear my bill. Amazing how God works eh? Back on my way to Santo Domingo, happy as a kid in a toy store, trying to free my mind of the many hiccups I had during this trip. Then suddenly, “oh I don’t have enough money for my taxi to the airport” what a time it was for that to come haunt me. “I could sort it out once I got back to Santo Domingo when I get to the hostel.” I thought to myself. I didn’t even check in fully upon arrival, I started thinking to myself who I could ask for just $2,000 JMD. I asked and asked and asked…. the miracle didn’t happen. So I left the hostel at 3 am to the police’s office which was a few blocks away. Wasted my time there, a little bit of English and my basic Spanish barred the smooth flow of communication but they understood what I was saying nonetheless but were unable to offer assistance. What happens next? See part 2. ← Visiting the Dominican Republic? 10 Things You Need To Know First.